Rated PG-13 for some violence and thematic elements. 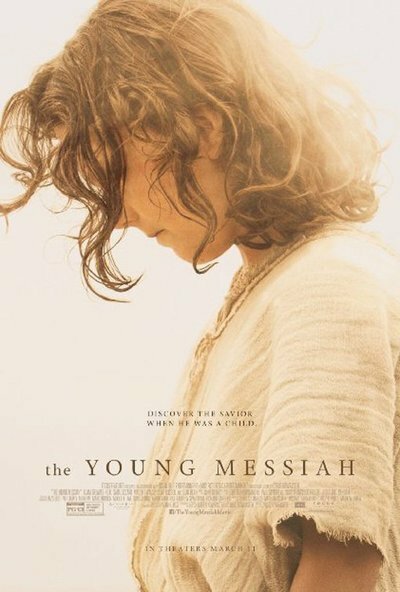 It’s a novel approach to a story that’s been told a million times before—based on a novel, actually, by Anne Rice titled “Christ the Lord: Out of Egypt.” “The Young Messiah” envisions what life might have been like for Jesus (Adam Greaves-Neal) as a seven-year-old boy who’s just beginning to understand his powers. In many ways, he’s like a regular kid. He likes to run around and play tag. He gets bullied. And like all little boys who love their mommies, he enjoys snuggling with Mary (Sara Lazzaro) and hearing her tell stories. But! He can also bring a dead bird back to life. He can make his sick uncle well. And he can restore sight to a blind rabbi. And as he travels from Egypt back to Nazareth with Mary and his father, Joseph (Vincent Walsh), he learns to hone his abilities and—spoiler!—ultimately accept his identity and responsibility as the Son of God. The humanistic elements of the story are the stronger than the religious ones, however. Director and co-writer Cyrus Nowrasteh approaches the miraculous moments of Jesus’ journey in earnest fashion—albeit with the benefit of production values that are superior to the ones we’ve seen in most religious films recently. (This is the problem I usually have with faith-based movies: It’s not the content, it’s the execution.) Some of Nowrasteh’s imagery can be lovely—widescreen images of the desert, or the sight of the sweet-faced, curly-haired Jesus bathed in heavenly sunlight—even as the action sequences and flashbacks have a hilariously cheesy quality, especially when they’re meant to be harrowing. But the idea behind the script itself (which Nowrasteh wrote with his wife, Betsy Giffen Nowrasteh) takes chances in a way that the actual writing does not. Jesus and his family trek from their exile back to their homeland, meet various people along the way and try to escape the centurions sent by the flamboyantly evil king Herod (Jonathan Bailey), who’s hell-bent on killing this mysterious child. Their leader is Sean Bean as a character named Severus, for those of you who miss the “Harry Potter” franchise and/or Alan Rickman. Along the way, Jesus asks a lot of questions, as seven-year-old boys are wont to do. And he prays a lot, even though he doesn’t quite realize yet that he’s got the hotline to God. We know how the story ends, so there’s little in the way of tension. Clearly, no one captures and kills Jesus at this point, per Herod’s orders. The other frequent threat arrives in the form of a demon (Rory Keenan as a Jared Leto look-alike in blond tresses, dark eyeliner and sinister facial hair) who follows Jesus around, whispering nasty suggestions in people’s ears. They don’t call him Satan by name, but they may as well. But these over-the-top performances at least liven things up somewhat, as does the general presence of Christian McKay as Jesus’ uncle Cleopas. McKay, who’s probably best known for playing Orson Welles in Richard Linklater’s 2008 film “Me and Orson Welles,” brings a similarly larger-than-life presence here, and he gets the best line in the whole movie. When it’s suggested among their group of travelers that they’ll have to continue hiding in caves to avoid Herod’s men, Cleopas bellows: “I hate hiding in caves!” It may not have been meant as a funny line, but it made me laugh out loud, and it was very good.